Before we consider each habitat in turn, which we do for ease of description, we must mention how misleading such an approach could be! With the possible exception of the large reservoirs, the ‘best’ bat sites in Essex are not uniform areas of a single habitat, but a mosaic of different types. Two sites at which all ten of the known resident Essex species have been recorded are Hatfield Forest and Weald Country Park, both of which have woodland, wood pasture, veteran trees, grassland, lakes, streams and ponds and buildings used as roost sites. It is worth bearing in mind that foraging bats are looking for prey rather than the habitat itself and that can take them to places where we might not expect them. For example, bats can sometimes be found feeding on large concentrations of insects flying over arable fields which have been blown there from a local lake or reservoir. Bats that normally avoid lights can be found foraging around street lamps because aerial insects including moths are attracted to the light. Essex is not heavily wooded (less than 6% of its area) and has few woods of any great size apart from Epping Forest. Hatfield Forest is the second largest and includes a fine example of ancient wood pasture and thousands of veteran pollards. 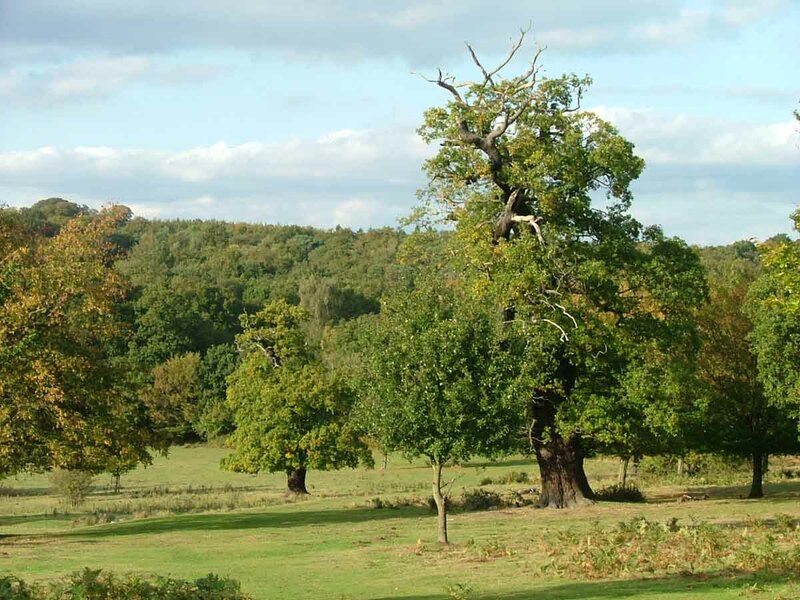 The majority of ‘ancient’ (pre-1600) woods in Essex are dominated by oak and hornbeam, with sweet chestnut replacing hornbeam as the coppice species in some areas. Other woodland types include oak with coppiced ash and a few small-leaved lime woods. There are no large coniferous plantations, but many broad-leaved woods have been partially planted with conifers in the past. Woodland can provide roosting, foraging and commuting habitat. The level of use of a particular wooded area depends on a number of factors, including habitat structure. 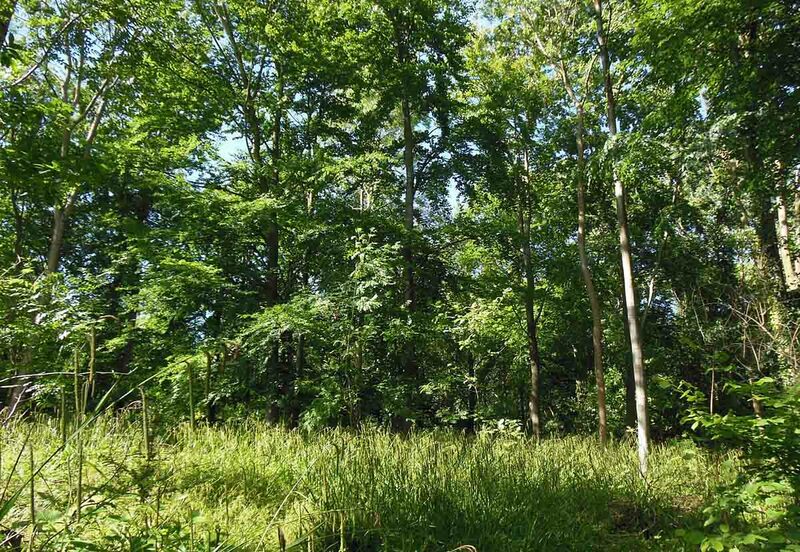 For example, a wood with a mixture of canopy tree species, a well-developed understorey, ponds and open areas, such as rides and clearings, might be expected to support a more diverse bat community than a uniform, heavily shaded wood lacking an understorey. Of course the availability of tree roosts is another important factor. Based on recent assessments by Bat Group members, the presence of potential roost features appears to vary widely among our woodland sites. Woodland edge is also used by commuting bats in the same way as rivers and hedgerows, acting as a landmark or navigation point. Edges also provide cover from predators and shelter for commuting bats, as well as en route foraging opportunities. Whilst any of our bat species may be found in or around woodland, a few are considered to have a particular association or reliance on woodland. Of these, the nationally rare barbastelle appears to be present in a number of Essex woodlands and are found in the north-west and in Writtle Forest. Despite the absence of large blocks of woodland in these areas, barbastelle populations are able to exploit smaller woodlands linked by landscape features such as hedgerows. Another ‘woodland specialist’, Natterer’s bat, actually occurs far out on the Dengie Peninsula, a long way from any woods! Orchards are also likely to be used for foraging as they often support a diverse invertebrate community with their combination of grassland and scattered fruit trees. As with other habitats, the value of grassland to foraging bats will depend on the amount of prey they provide. 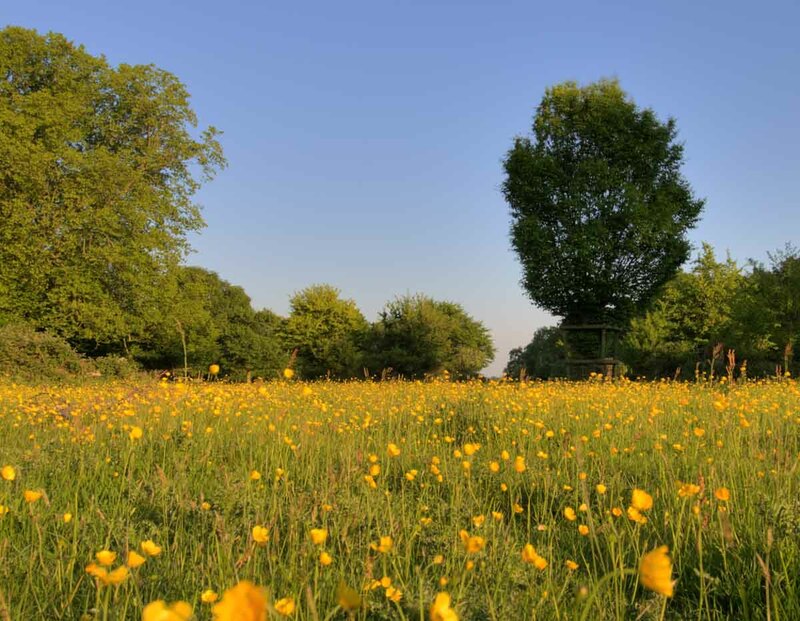 So we can expect infrequently cut or uncut rough grassland to be of greater value than frequently mown or heavily grazed areas, on account of more numerous and diverse insect populations. The value of pasture may depend on the kind of livestock, the intensity of grazing and any chemical treatments. In Essex, it is likely that horse paddocks, in the absence of widespread cattle and sheep, provide significant opportunities for our foraging bats. Serotine and noctule have an association with ‘unimproved’ grassland where it supports the beetles, crane flies and other insect prey. However, the widespread use of worming chemicals on livestock significantly reduces the invertebrate fauna of dung and is believed to have had a negative impact on bats populations. Cultivated farmland is considered to be of little interest to foraging bats. The intensification of agriculture during the last century, in response the need to feed a growing population, has led to less diverse landscapes and a significant rise in pest control. The loss of meadows, removal of hedges and reduction in insect populations is believed to have had a significantly detrimental impact on our bat populations. However, relatively few surveys have been carried out on such land, so the level of use is poorly known, but it is certainly lower than more insect-rich habitats. There is undoubtedly some variation in levels of use, depending on the crop and the type and levels of pesticides usage. Hedgerows are used for foraging and as commuting routes. Their value for foraging will depend partly on how they are managed, with wide, bushy hedges supporting more insect prey than recently or frequently cut hedges. The presence of mature or veteran trees increases the availability of prey, as does the presence of well-established grassy margins. The nature of adjacent land use can also determine their value to bats. A hedge lying close to a lake can provide shelter for huge numbers of flying insects (such as midges which have aquatic larvae) in breezy conditions and provide significant feeding opportunities for several bat species. Bats make great use of hedgerows as commuting routes. A network of inter- connecting hedges can be used to cross otherwise open countryside, such as arable farmland, providing shelter (from the wind, light and predators) and a chance to feed along the way. All of our Essex bat species can be found around hedges, especially those with large mature trees such as oak and ash, but it is likely that some species rely on them more than others as commuting routes. Noctules often fly in the open with no need of cover and most species will cross open land if necessary. Water bodies of all kinds are home to diverse populations of flying insects so it is no surprise that they are particularly important to bats as foraging sites. Our wetlands are a magnet to bats with large reservoirs, such as Abberton and Hanningfield and those in the Lee Valley providing foraging for most Essex species. Radio-tracking of soprano pipistrelles has demonstrated how attractive these sites can be. Whilst pipistrelles do not generally travel far to feed (normally less than 5 kilometres), but bats from a maternity roost in Chappel were found to travel nightly to Abberton reservoir, 12 km away. 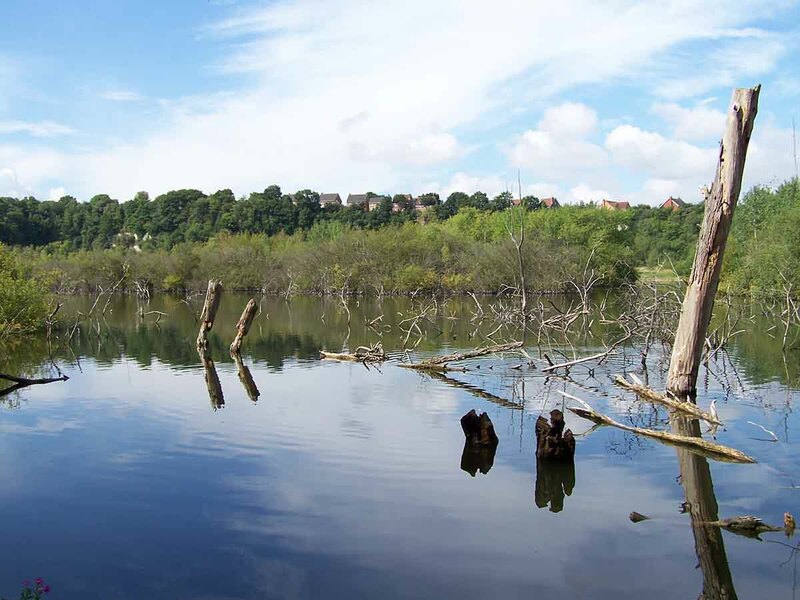 Smaller inland water bodies, all of which are likely to be used by bats, include farm irrigation reservoirs, the lakes and moats of large country houses and parkland and ponds in woods, farmsteads and gardens. Rivers are used by bats as both foraging sites and commuting routes. The level of use by feeding bats will reflect the abundance of insect prey, which may be dependent on such factors as the presence of marginal vegetation, overhanging trees and areas of still water. Daubenton’s bat habitually hunts a few centimetres above the water’s surface, but it requires comparatively calm water in order to detect it prey using echolocation. You are never far from a river in Essex. They are long-standing features of the landscape, flowing across the county and along much of its borders for many miles, connecting sites and habitats, providing commuting routes learnt and utilised by bats for many generations. The county’s two canals (the Chelmer and Blackwater Canal and the Lee Navigation) serve the same function and are well used by bats. As such, they provide corridors for bats flying between roosts and foraging sites and, in the case of Nathusius’ pipistrelles at least, probably for migrating bats too. Although fewer species of bat occur in densely urbanised or industrial areas, many Essex towns are located on rivers and many have areas of parks and other open green spaces, many with mature trees and lakes or ponds. Gardens are important foraging areas, as do other sites with bushes and trees, such as railway lines, cemeteries and allotments. Towns provide plentiful roosting opportunities in houses and other buildings, both old and modern. Common pipistrelles and soprano pipistrelles are the most likely bats to be seen in urban areas and are probably far more common here than any other species. The absence of most species from the densely urban environment is due to a number of factors, among which a lack of suitable foraging habitat and the presence of very bright artificial lighting are certainly important. The villages of Essex are probably very important to bats. In a landscape largely dominated by arable farmland, a village can provide an ‘island’ of roosting and foraging habitat in otherwise inhospitable terrain. Trees and a variety of buildings of various ages provide roosting opportunities. Old churches are almost invariably used by at least one species, commonly several. Foraging habitat is provided by gardens, hedges, trees and ponds. Natterer’s and brown long-eared are often associated with old barns. Many of these have been converted to dwellings and as a result a significant number of important bat roosts have been lost. The impact of lighting is probably less significant than in larger settlements, although certain species can still be expected to avoid brightly lit areas. The Essex coast consists of a series of river estuaries and the land which lies between them and is the longest coastline of any English county. The coastal landscape is typically low-lying and flat. Its characteristic habitats include mudflats, shingle and sandy beaches, saltmarsh, creeks, grazing marsh, earthen sea walls and borrowdykes. Sea cliffs are rare, but Essex has several small islands used by bats. Little is known about use of the coast by bats as relatively few surveys have been carried out here, probably at least partly due to a misconception that bats are unlikely to make much use of such open areas lacking in shelter and potential roost sites. However, recent surveys of some coastal sites have found bats of several species. For example, common pipistrelles forage in front of the cliff face at the Naze, noctules feed over the sea wall and inner saltmarsh at Tollesbury and soprano pipistrelles from a maternity roost at Chappel have been radio-tracked on nightly flights all the way to the coast at Abbotts Hall Farm, near Mersea. Bats occur on all of our larger islands and the bat communities of urban areas on Canvey and Mersea probably differ little from inland towns. Common pipistrelle, soprano pipistrelle and serotine are all found on Foulness and common pipistrelle has been recorded on the much smaller Northey Island. The recent confirmation of migration by Nathusius’ pipistrelles between Britain and the continent has added weight to the idea that Essex may lie on this migration route, with bats of this and other species departing and arriving seasonally along the Essex coast. Records of Nathusius’ pipistrelle peak in Spring and Autumn suggesting migratory movements. The increasing presence of off-shore windfarms along the species migratory route is a cause for concern as terrestrial wind turbines are known to kill bats. If conditions are favourable and prey is present then bats will forage out to sea, at least up to several kilometres, perhaps further. Given that recent surveys have found bats in most of the few sites surveyed, we can be confident that further surveys are likely to reveal a greater level of use of coastal habitats by bats than previously suspected.